One of our classic and best selling birthday cards having a little fun at our man's expense. 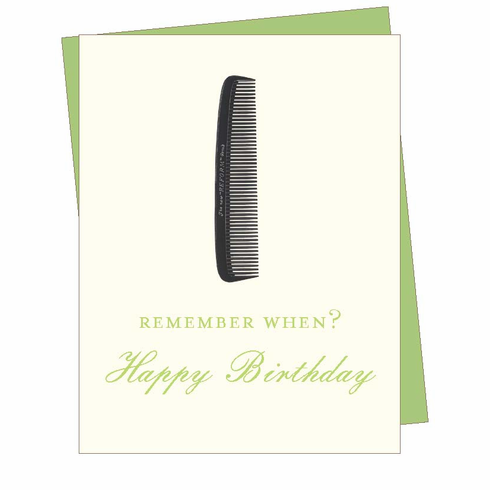 This card features a vintage illustration of a classic man's comb and asks Remember when? Blank inside.